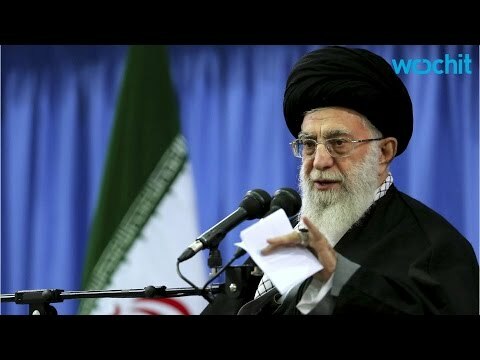 The speech is being seen as a sign that Khamenei is throwing his support behind President Hasan Rouhani and Foreign Minister Mohammad Javad Zarif in the latter’s go-for-broke attempt to conclude successful negotiations with the UN Security Council plus Germany (P5 + 1) regarding Iran’s civilian nuclear enrichment program. The P5 +2 are seeking an agreement tat would allow Iran to continue to enrich for reactor fuel but would include safeguards to prevent Tehran from ever militarizing the program. For Iran’s clerical leader to admit that his country is just not going to get everything it wants from the nuclear negotiations seems to me huge. Of course, he is also signaling to President Obama and Secretary of State John Kerry that they have to be satisfied with less than complete victory. It is interesting that media outlets that oppose a successful conclusion of Iran’s negotiations with the West played up Khamenei’s phrase about not accepting a bad deal, which is boilerplate, rather than the first, which is unusually positive (and which Khamenei foregrounded). Reuters correctly read the rejection of a “bad” deal as Khamenei’s attempt to reassure hard liners that he won’t give away the show to the Americans. In fact, he explicitly said that the phrase “No deal is better than a bad deal” is the one the Americans keep using, and he agrees with them about that. Khamenei pointed out that Iran had ceased enriching uranium to 19.75% for its medical reactor (which makes isotopes to treat cancer). He said that the “other side” isn’t satisfied with Iran keeping its pledge to do so, but wants to blackmail his country. Iran’s leader also expressed dissatisfaction with the West’s preference for an agreement on “general principles” first, after which the details would be addressed. He said that this approach could be allow the West to later pressure Iran under the pretext of the general principles. He said he would like to see a comprehensive agreement achieved all at once that included the details. I think that last bit may have been a threat.